was in the Russian army. when their daughter Helena was born. Helena Andreyevna composed novels concerning restricted Russian women and known as the George Sand of Russia. deny the existence of her mother in her childhood? It is true that she grew from an ill baby into a problem child subjected to hysteria and convulsions. so at least I shall be spared seeing what befalls Helena. and she will have much to suffer." This statement that her mother died when she was a baby seems to suggest that there was much negativity between mother and daughter. That Helen resented her mother's long absences, her intimate friendships and felt it as a desertion of the home and herself is an understatement. Her mother seemed to have severly damaged her daughter's emotional well-being and her pride. Helena's childhood was certainly not the usual one. and her fascination with the weird and fantastic. One of her earliest recollections was macabre in deatil. Helena threaten to have the russalkas tickle them to death. annoying Helena by pulling her perambutor. threatening to have the russalkas tickle the boy to death. took to his heels over the river bank. He was not seen again until fishermen discovered his dead body weeks later. stepped into a sand-pit whirlpool. and delivered him over to the russalkas. and the victim a boy ten years her senior. were women who had learned and believed in superstitions. At the time Old Russia was a very supportive of superstitions. which were thought to manipulate human lives..
along with its icons, priests and sacraments, their serfs still kept alive the Empire's pagan religion among themselves. but is connected with the number seven. According to legend it was believed that supernatural beings could be placated or even controlled by people like Helena. a goblin in the form of an old man who lived behind the stove and played tricks whenever upset. Some thought each household had one. by her mother or grandparents. but the rituals proved to no avail. Even scolding and punishments failed to change her outrageously unacceptable behavior. would carry out her wishes. A belief that seemed to permeate her life. Her only happy childhood memories seem to be between six and twelve in her father's army camps. She was petted and spoiled as the enfant du regiment. She tyrannized over her father's orderlies whom she preferred to her female nurses and governesses. While being pampered she managed to pickup a smattering of knowledge about shamans and magic which she put to good use later in life. lived with their maternal grandparents. So from her mother and grandmother HPB inherited her characteristics of stubbornness, a fiery temper, and a disregard for social norms, all of which she amplified. Helena's first love affair, at age 16, had been with Prince Alexander Galistin, cousin to the Viceroy of the Caucasus. At the time her grandfather served as his Imperial Councilor. Her interest in the Prince was because of his interest in occultism and magic. At 17 she married General Nicephore Blavatsky. saying she could not even get an old man to marry her. and about seventy or eighty. and return to her grandfather who was not glad to see her. all of whom she escaped. to meet her in Odessa. The actual events are rather sketchy. was the two years she was in Tibet studying with the Lama. In 1856, according to her version, while in India she met a Lutheran minister who was with two mystics. None had passports or proper identification. although not permitted in the country, did travel a good way with the party to a mud hut. supplied by a Tartar shaman. At a hut they met the Chief Lama who would not allow them admittance until Helena showed him a carnelian talisman given to her as a child by a high priest of a Calmuck tribe. Within the hut, which was a great hall, they witnessed a reincarnation ceremony. A four-month-old baby laid on a carpet in the center of the hall. "Under the influence of the venerable lama, the baby rose to its feet and walked up and down the strip of carpet, repeating, `I am Buddha, I am the old Lama, I am his spirit in a new body.'" The three men accompanying Helena were terrified. The minister said his blood ran cold because the infant's eyes "seemed to search his very soul." however, it must be remembered these were her critics. and retiring from the Viceroy's Board of Caucasus. both unmarried, came to the Fadeyev home in Taiflis to entertain while seances were held. At the time the many of the Russian intellectuals were beginning to be fascinated with the paranormal. Helena made a big impression. "My cousin did not confine the demonstrations of her power to table rapping, evocation of spirits, and similar mediumistic hocus-pocus. at the insistence of one of the guests." included more than hold seances. so he confided his affair with HPB to Home. or so the lady later claimed. It seems Meyendorff later said Helena was unfaithful. it seems that Meyendorff was correct. About this time unexpectedly Agardi Metrovich appeared sometime in the early 1860's. who it seems was his wife. Metrovich had known Helena and her family previously. It seems he now wanted her back. his latest opera 'Tiflis' was one of the worst in Europe. He was on a decline in his career. It is somewhat of a puzzle how Helena managed living with her husband, lover Meyendoroff, and Metrovich at the same time while holding seances in her grandfather's home. But, the fact is that she became pregnant and a child was born. The only existence of the child's birth date is on a passport dated August 23 "(Old Style)" 1862. It designated him as an infant, leaving speculation he was born in 1862, or late 1861. His name was Yuri, and he was deformed. which had a military surgeon. 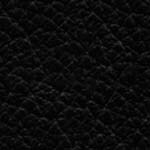 her pregnancy had caused in Tiflis. but Blavatsky continued her monthly allowance. Helena referred to him as "the poor crippled child,"
while Meyendorff's relatives said he had a hunchback. or an accident cause by the military physician unaccustomed to delivering babies is not known. After the birth Helen faked a nervous breakdown. "When awake and myself, I remembered well who I was in my second capacity, and what I had been and was doing. When someone else, i.e., the personage I became, I know I had no idea of who was H. P. Blavatsky! I was in another far-off country, a total different individuality from myself, and had no connection at all with my actual life." Yuri was about five years when Helena took him Bologna trying to help him. It is known that Metrovitch accompany them. But, the journey proved fruitless and the child died. she could not bury her son on foreign soil. but this she did not do. She did everything she could for him. Although later she denied he was her child. she wrote that her father suspected her of wrongful sexual conduct and she produced evidence from two doctors that she was unable to bare children. Perhaps she did this more for Yuri's sake than her own, because, it is thought, she could not bear for anyone to think ill of her son. She also claimed Yuri was an illegitimate child of Meyendorff and a friend of hers. Alfred Sinnett, omitted Yuri altogether. However, the child seems an important factor in her life. Her career in the paranormal was of great concern to her. Factors concerning the child outweighed this. which she had played with in her own childhood. a being whom I loved according to the phraseology of Hamlet as `forty thousand fathers and brothers will never love their children and sisters.'" "'I loved one man deeply but still more I love occult science,' but the one she loved `more than anything else in all the world,' or anything, was Yuri." It was later after Yuri's death that Helena confided in writing to her cousin Nadyezha Fadeyev of her rejection of Christianity, "the Russian Orthodox god had died for her on the day of Yuri's death." together with the whole race of Adam." the encroachment of fragments of an earlier religious experience are seen. which she had rebelled against all of her life. She was humbling her pride to join the host of other rebel spirits who creep back to the sanctity of the Holy Church. She even admitted when in Paris she had in secrecy slipped off to the Russian Cathedral. may have decrease or fallen away, in public her concern was to insure the realty of her Masters Morya and Koot Hoomi and all the hierarchy for her followers. She apologized for the mistakes and misrepresentations in her works but not for the Masters who had dictated her books. The faults of the books she laid on others. After 1869 both the Fadeyev and Witte families had dwindled. Adey Fadeyev had died at 81. The families pooled their assets and moved to Odessa where Helena and Metrovitch joined them. but in the perilous times they all failed. so he and Helena sailed for Egypt. aboard the ship was carrying. which are not connected with the explosion at all. would want her to go on. and then proceeded to Cairo when she became a medium by teaming up with another woman. then both went back to Odessa. whom she said did not understand her. She saw other people and then went to Paris. It was there she heard of the enthusiasm for Spiritualism that was spreading in the United States. North America, which I did without protesting." She did not travel first class though. who had been sold bogus tickets. that was all she could then afford. the land of opportunity and hope. It was her second chance. but she was determined to obtain it. It was July, 1873 when she reached New York. where she tried selling elaborate designs to the owners. so it was Odessa all over again. HPB was penniless but said that she had wrote home to her relatives for money and expected to receive it from the Russian Council at anytime. This is how she survived in the home. those not liking her and those that did. and by holding seances on Sunday nights. This seemed to work until a newspaper took a dislike to her and accused her of using hashish and opium. Soon after this her father died and she received $500 of her modest inheritance which went fast. two men and another woman. Then a new phenomenon appeared. Ordinary photographs left in a wooden box overnight were found in the morning to be tinted with water colors by spirits. Although impressive, the others occupants became skeptical of HPB's powers. carrying paint and brushes to assist the spirits. Following this HPB worked whenever she could, one job was in a sweatshop making artificial flowers, and accepting charity from whomever gave it. and her husband who has just arrived from Caucasus. She had known them both in Russia. and HPB agreed to join in the adventure by buying in at $1,000. By the end of the first month all parties knew it was a disastrous decision. but three days later she and her husband disappeared. which took the case to court. but it soon became apparent that she had come to see Olcott. During the next ten days Helena exhibited her techniques. Her seances accompanied those of the Eddy Brothers. Although Olcott was not a Spiritualist, he had a keen interest in the phenomena. Each night the seance began at ten minutes to seven. The procession of apparitions began drifting in and out of the Eddy cabinet on the schedule of every one to five minutes. a conjurer who she had met in Africa. and the portly man in a black evening suit and frilled white shirt, around whose neck hung a Greek cross of St. Anne suspended by a red moiré ribbon with two black stripes. "Are you my father?" she asked, confessing later that she was trembling. she decided much could be achieved in the meantime. She with another medium rushed back to New York. When Olcott mentioned putting his collection of articles that appeared in the Graphic into a book she volunteered to translate them into Russian for the Psychisen Studien or some other Russian journal. Olcott was thrilled with the idea. but still considered him immature and gullible. spirit entities, that Olcott was "in love with the spirits,"
Nevertheless, they continued working together. but they were not mutually shared at first. even though she was in her earthly, sensual manner. who claimed in the Daily Graphic that the Eddy brothers were frauds and that Colonel Olcott had been blinded by a handful of bad magicians' tricks. HPB had two reasons to be upset by the article. First, her first real success in Spiritualism might be thwarted; and secondly, the article questioned Olcott's integrity as a serious investigator. If this went unchallenged it would dash any hopes of selling any translations of his articles. but took an unexpected turn when she was recognized by both the Spiritual Scientist and Daily Graphic. throughout the New York area. But, as usual, her troubles were not over. She had tried to sell the Russian translation of Olcott's articles through Andrew Jackson Davis who admired her as a medium, a friend of Alexander Aksakov who could get the articles in the Psychisen Studien. 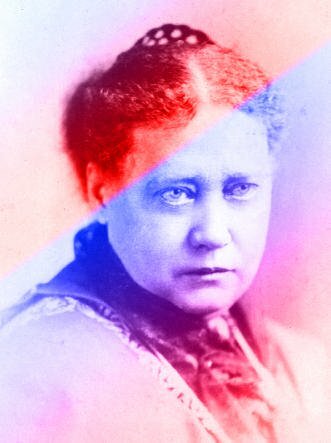 In his reply to Davis, Aksakov said that he had heard of Madame Blavatsky, and she was a powerful medium, but her communications show moral flows. and Davis thought his friend didn't know her as well as he did. However, Helena suspected Aksakov had heard rumors and hastily sent a letter to him pleading with him not to exposed everything to Davis. nor did any other publication. Fearing that Aksakov revelations would come down upon her at any time Helena was in a desperate period. She still conducted seances, hoping for the best. She still needed financial support. he said he would expect no martial privileges of her. Betanelly was friend to both Helena and Olcott. during a seance at Chittenden. The letter was to served to disprove Dr. Beard's accusations aimed at Olcott and also give Olcott more creditability. The truth was that Betanelly knew nothing about Spiritualism when writing the letter. Helena and Betanelly were married on April 3, 1875.
and unequal to her mental capacity.
" their fates were linked by karma, and the marriage was her punishment for `awful pride and combativeness." She added that Betanelly had threaten suicide if she did not marry him. it would seem she did so because of her interest in Olcott. Olcott believed her. Helena's main concern seemed to always lie in Olcott. it is a fact they met shortly before his divorce. But it seemed they just collaborated, with HPB being dominate, at first, intimacy would come later. HPB dictated Olcott's writings and where to send them. Before the establishment of the Theosophical Society there was the founding of the Miracle Club. brother of Charles Dana editor of the New York Sun, and suggested by HPB. Members were forbidden to disclose their experiences or the address of the meeting place. The club only lasted a few weeks because David wanted to be paid, which HPB did not agree to. The failure of the Miracle Club, however, sparked the founding of the Theosophical Society. "Would it not be a good thing to form a society for this kind of study?" The phrase this kind of study referred to subjects such as the Egyptian mysteries and the kabbalah which had been discussed in a lecture previously given to an informal group by J. H. Felt, an architect and engineer. Egyptian hieroglyphics were accurate pictures of elementals, the spirits who convey messages at seances." The infant society was eagerly formed in September1875. It was co-founded by Olcott along with William Q. Judge. Its name was furnished by Charles Sotheran who was of independent means, a high Mason, a Rosicrucian, and a student of the kabbalah. looking through a dictionary, he found the word theosophy, a word that was unanimously agreed on at the next meeting because it seemed to express esoteric truth as well as covering the aspects of occult scientific research, both of which were goals of the Society. Because of Olcott's love for red tape and Helena's ritualism the Society included all of the pomp originally planned for the Miracle Club. and the Grand Lodge of Cairo. studying and making known the ancient religions, philosophies and sciences, and investigating the laws of nature and divine powers latent in man. The direction of the society was claimed to be directed by the secret Mahatmas or Masters of Wisdom. After reading the evidence of the letters supposedly written from these Mahatmas many concluded that they were written by friends of HPB, or by HPB herself. The letters conveyed her ideas. These conclusions were drawn after earnest men and women lavished an aggregate of several lifetimes of study and research on the Mahatmas letters. was a well researched work. outlined the basic precepts and the secret knowledge which they protected. The success of the book was greater than that of the society, which by 1878 almost collapsed. In July 1878 Helena P. Blavatsky became the first Russian woman to acquire United States citizenship. Some say she did so not to have the English in India think she was a Russian spy. She and Olcott went to India in December of that year in order to revive the society's study of Hindu and Buddha religions. and various high-caste Indians and English officials. At this time HPB aided Sinnett and Hume in corresponding with the Masters Koot Hoomi and Morya. when their handwriting closely resembled that of HPB. However, nothing was every proven conclusively. In 1882 the headquarters of the society was moved to an estate in Adyar, near Madras. There HPB had a shrine room constructed for the Mahatmas where they could directly manifest their communications. A former colleague of HPB, Emma Cutting Coulomb and her husband managed the household. They were later discharged for dishonest practices. United State the Coulomb's published letters which they claimed to be written by HPB containing instructions for the Masters' manifestations and for the operation of the shrine through secret black panels. Apparently, the panels were constructed by Coulomb during HPB's absent to destroy her reputation. to investigate the activity there. In the following spring he released a scathing report alleging fraud and trickery by HPB and her associates. To HPB and the Theosophical Society the report was controversial for over one hundred years. It put a tarnish upon the name of HPB and the Society. saying that Hodgson had ignored all evidence favorable to HPB, and, that an apology was due. which is said to be her greatest work. The Secret Doctrine outlined a scheme of evolution relating to the universe (cosmogenesis) and humankind (anthropogenesis), and is based on three premises: (1) Ultimate Reality, as an omnipresent, transcendent principle beyond the reach of thought; (2) the universality law of cycles throughout nature; and (3) the identity of all souls with the Universal Oversoul and their journey through many degrees of intelligence by means if reincarnation, in accordance with "Cyclic and Karmic law." which she put to paper. The Voice of the Silence, a mystical and poetic work on the path of enlightenment. The work of the Theosophical Society was continued by activist Annie Wood Besant, a reviewer of The Secret Doctrine and a convert to Theosophy. Besant's home in London became the headquarters of the Society. She actively supported progressive causes, bringing another generation of liberal intellectuals into the society, and became president following Olcott's death in 1907. In all respects it is not difficult to believe that HPB possessed genuine occult inspiration and powers for she exerted enormous influence over some of the most talented individuals of her time. Also among those influenced by her are W. B. Yeats, the Irish poet, and "AE" (George W. Russell). by promoting the translations of Hindu scriptures and philosophical works. HPB died in her home on May 8, 1891.
because it was unquestionably very different. her adult life; the death of her son, or the child she dearly loved; or her love of occult science. One is forced to say that is was several or all of these factors which made her different and who she was. people are still fascinated by Madame Helena Blavatsky. One presumes this fascination is generated by the unique pursuit of Madame Blavatsky's life itself. if anything, she propelled life. she was mystical by nature. Yori resembled her invisible playmate in early childhood. She did not share Christian visions because of her violent rebellion against the church. Her life was amongst the people. Her saints were the Mahatmas or Masters of Wisdom, modeled on Buddhist and Christian monks, who resided in the inaccessible portion of the earth. but frequently returned to help members of humankind who deserved it: the Theosophists. it is doubtful that she intentionally exploited people with her glimpses of the truth. This seems contradictory to the nature of a woman who gave her deluxe accommodations to a peasant family and came to America in steerage. and then have the ability to make so many take her seriously. individuals to try and follow her.